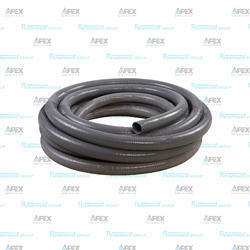 Prominent & Leading Manufacturer from Rajkot, we offer commercial suction hose pipe, super suction hose pipe, garden hose pipes and braided hose pipes. 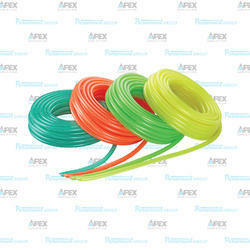 Ideal for Irrigation purpose in agriculture such as water, fertilizers, insecticides, etc. Ideal for transportation of saline water, light acids, alkaline and sewage disposal. Apposite for constructional engineering such as water, cement, slurry, etc. Varied general industrial services such as air intake, vacuum, oil intakes, etc. 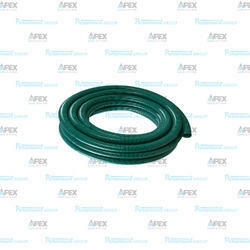 Suitable for horticulture industry and potable water supply. Conveying warm air for drying, vacuum cleaning equipments air-conditions for offices, kitchen-range overhead exhaust, etc. Available in varied size from 3/4" to 6" in Diameter. *Pricing mentioned are subject to change with size, weight and order quantity. Ideal for high pressurized suction areas such as coal & mineral mines, stone & lime quarries. Conveying / suction of heavy raw material in processing industry. 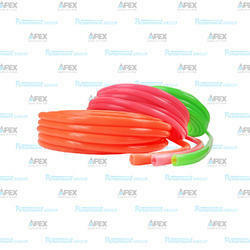 Suitable for Petrochemicals & Oils Exploration. Widely used in marine ships such as defense, cargo, etc for transporting fuel, oils, etc. Suction and discharge of abrasive powders, fumes, shavings and vaporous. The GARDEN HOSE Pipes are available in size from 3/8" to 1|"
We are leading manufacturers ofBraided Hose Pipes and we supply in varied colors and size. *The pricing are subject to change on size, weight and order quantity. Price shown are tentative.